At my time of life going back to school doesn’t involve pens and exercise books but I’d reached a stage in my fishing where it had become a little stale and lacking in results. When you reach this stage you take some comfort from telling yourself that ‘it’s the same for everyone’ or ‘the river needs a good flush through’ but I knew I needed a tactical change. I’d spotted a post from the Barbel Society promoting their Barbel School which immediately caught my interest so I signed up. It was held at the end of August which happened to be in the middle of my 2 weeks off work so it fitted in well. I made the long journey to the river Teme and upon arrival was made to feel very welcome by the organising team. The first part of the school was a comprehensive talk and demo covering everything from swim selection to rig setup and it was during this talk I had one of those ‘light bulb’ moments when I realised that given the conditions my whole approach wasn’t so much as wrong, but it was inappropriate. My usual method was to choose a swim and bait drop 6 or 7 payloads of hemp and pellet followed an hour later by the hook bait and often a feeder full to keep the swim topped up, if no action after 15 minutes I’d recast. 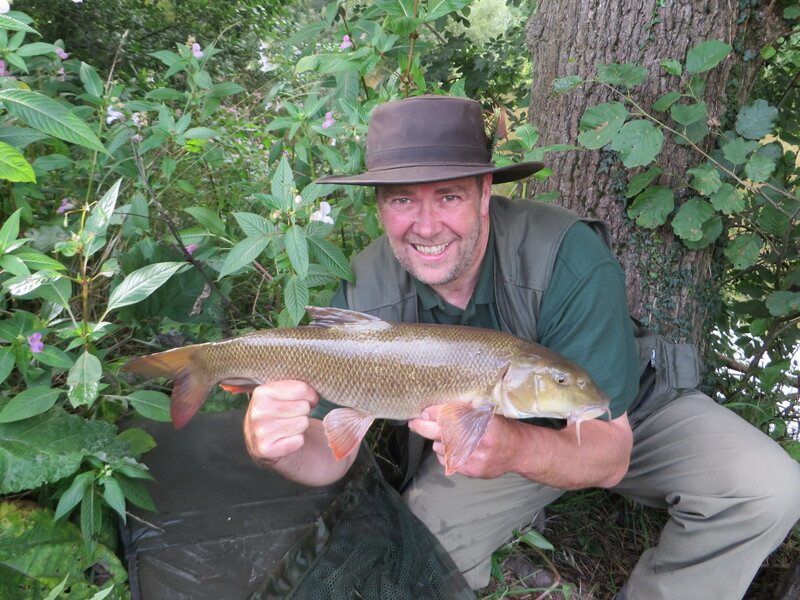 In complete contrast I learnt that fishing a small rivers where the barbel population is scarce requires a softly softly approach. The setup was similar to what I’d been using but a lot more refined. I’d always used long hook links of around 2 foot to try to avoid contact with the main line when a fish was inspecting the bait but I’d never thought about back leading the main line a few feet up from the main lead. This is simply achieved by using an olivette which slides freely but is stopped by a small float stop, that way it’s adjustable and more importantly safe in the event of a snap off. Next the hook link, I’ve always used a supple mono for hook links but braid was the hook link material of choice in this setup, a 15lb sinking braid that was supple and blended in better with the bottom. As you’d expect the hook is matched to the size of the bait and as we were each kindly given a goody bag containing the Lone Angler 10mm dumbells from the famous Sausage Sizzle range with matching paste a size 12 micro-barbed hook was perfect for the job. To complete the refinements a grippa lead is used instead of a cage feeder or even a natural stone can be used, both will take paste and/or a glug resulting in an added bit of attractant when it’s in position. On a river like the Dove when fishing close in the cast isn’t so much a cast but a lowering in of the rig as quietly as possible. If I need to then a gentle under arm cast will get the rig in place without a fuss, this is followed by a few small pellets to provide some additional feed. The next thing to do is sit back and wait, and wait, and wait. Sitting on my hands becomes the only option as I don’t want to disturb the swim so eventually I’ll decide on sending that text or making a cup of tea, it’s at this point that the rod will almost certainly be wrenched out of the rod rest and the battle ensues. After the talk we tackled up and moved into our swims. 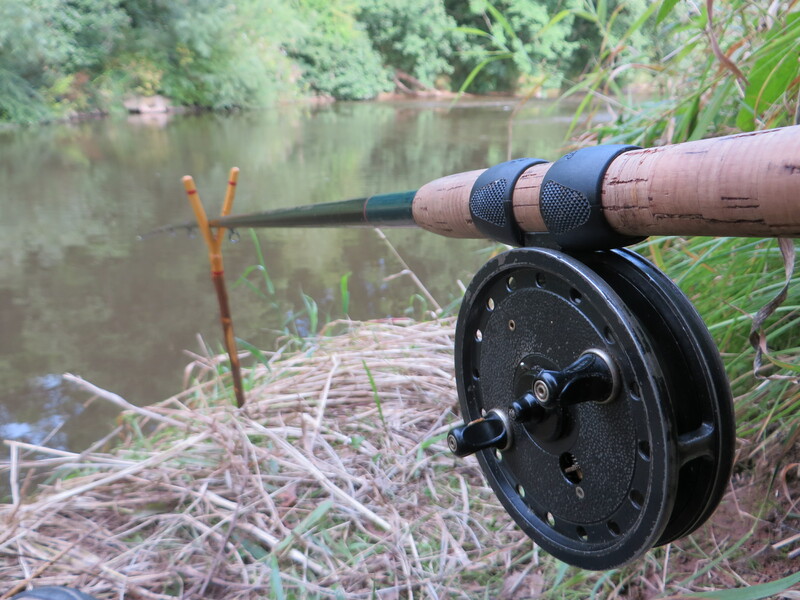 Stealth – creeping into position, something I’m more use to doing whilst chub fishing but also necessary when taking the softly softly approach for barbel. I prepared everything up top well away from the swim taking care not to cast a shadow. The swim itself was a wide sweeping bend fairly slow-paced and plenty of nearside snags to my left. 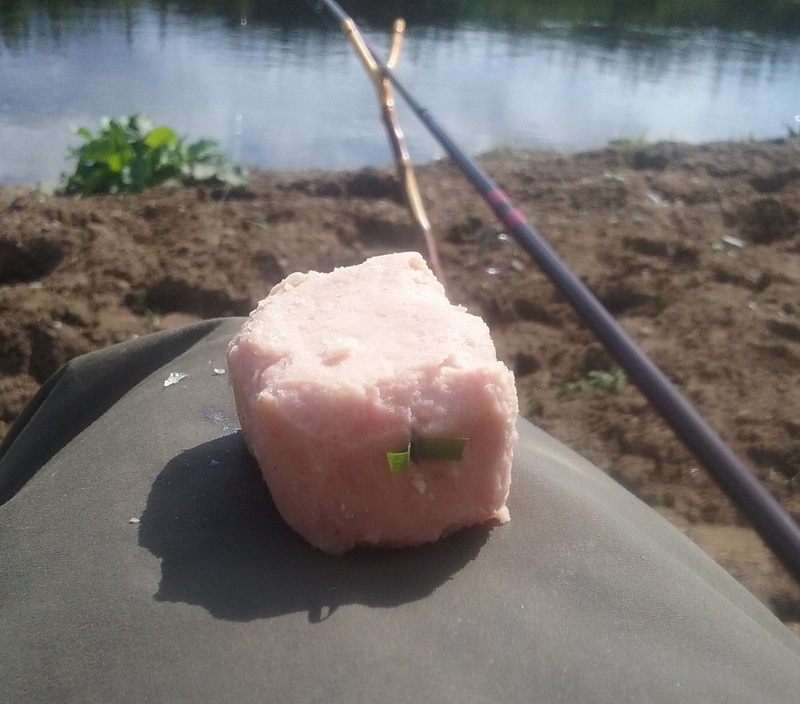 A number of large stones formed a patrol route for the resident babel and the nearest around 2 rod lengths out and slightly upstream needed nothing more than an underarm cast to position the bait. I was using my Rapidex pin with 12lb mainline through to a braided hook link, a bow in the mainline ensured that the light lead wouldn’t be pulled out of position so with the ratchet set it was time to sit on my hands. 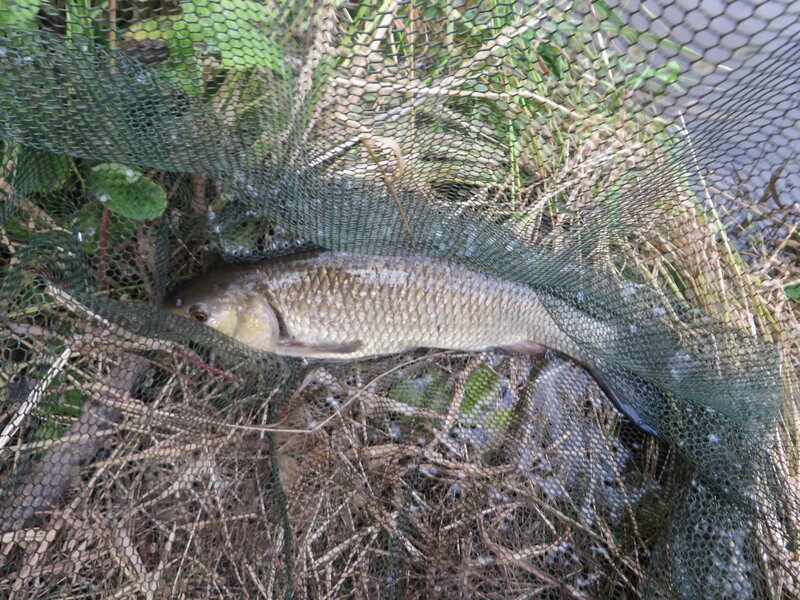 Ten minutes went by before the first indication of a fish in the swim, a pluck followed by a screaming pin, a short fight and a small chub was skulking in my net. “Not the target species but welcome all the same” (why do we always say that?) anyway it was welcome, any fish is welcome in my book. I recast to the same spot, the chub hadn’t splashed about too much so I hoped for an immediate response. An hour later and I couldn’t sit on my hands any longer so I checked the phone, I had a message from Bill asking how it was going. 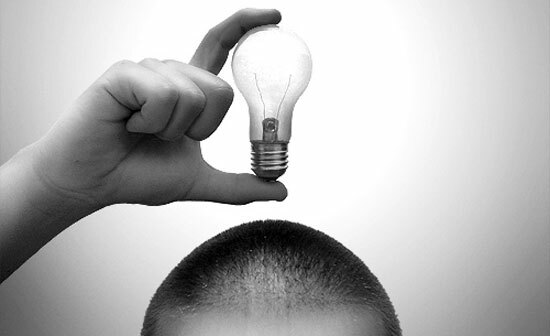 In the middle of replying and true to form the reel broke the silence and I lifted into my first Teme tiger. As predicted it headed straight for the nearside snags and the 12′ Porky Pig rod hooped over, my arm ached but I applied the pressure just enough to ease the fish out into open water. Soon after the tiger was tamed and left resting in the net. 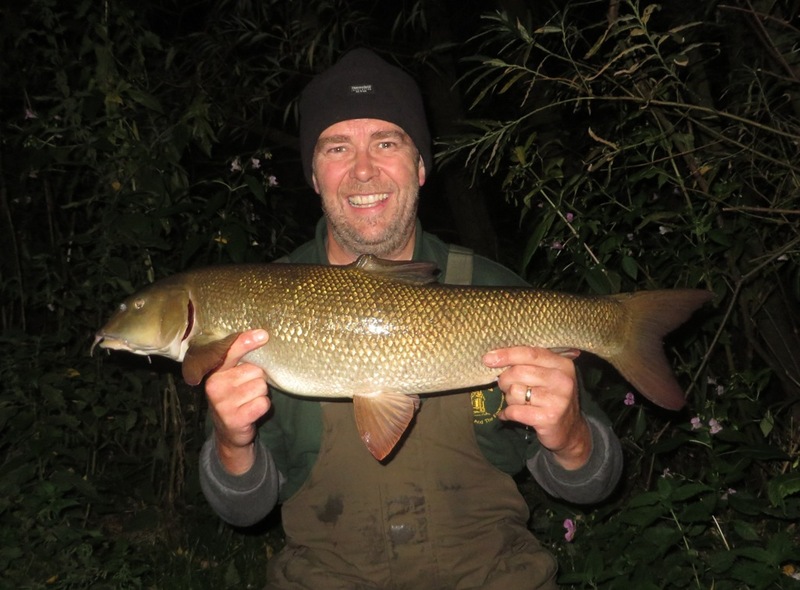 Later that evening a few more barbel of a similar size were banked and at breakfast the following morning we’d all had similar results. A great weekend with good company, some new friends and a beautiful beat of the Teme plus I’d learnt a new approach to my barbel fishing on small rivers, that’s a result and one I’d be very grateful for in the weeks that followed. With lessons learnt my next visit to the Dove was a week later. The usually meandering of the banks during the day, rolling meat on the off chance, it was a half-hearted affair as I knew the river was still too low and clear but at dusk I headed for a new beat I’d been told about. With everything prepared well back from the river’s edge I crawled into position and observed 2 small perch in the undercut bank, it was 4′ deep and crystal clear but I knew once darkness fell it would form a secure feeding spot for the barbel hiding under the streamer weed a few feet away. The rig was lowered into position, a 14mm halibut pellet wrapped in the Sausage Sizzle paste silently plopped into the river. Half a dozen free pellets were dropped in by hand and after 20 minutes all was quiet so I poured a cup of tea which obviously is the international barbel signal to take the bait!! The centre pin screamed, I screamed as I spilt hot tea but I was in. The fish darted back into the weed and everything went solid, I thought it had slipped the hook but gave it plenty of slack just to be sure, nothing, I pointed the rod at the weed and started pulling for a break, a faint pull back gave me hope and sure enough it was game on. Without the weed covering it’s head it went nuts in the edge spoiling any chance of another fish but I didn’t care, it was my Dove barbel box ticked and a decent size too going 9lb 9oz on the Avons and in great condition, very pleased indeed. Both trips since have produced new PB’s, same beat same tactics. 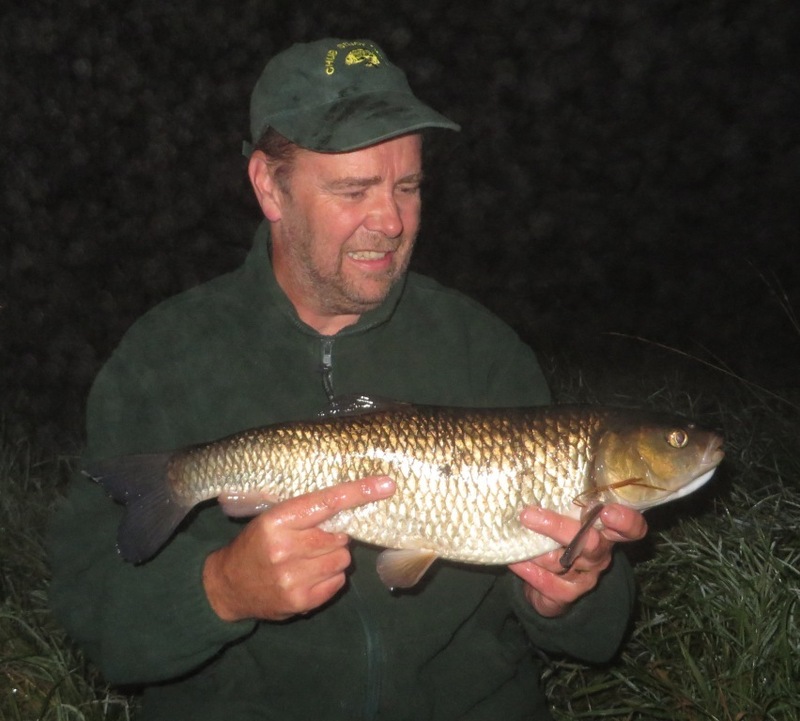 A 5lb 7oz chub taking the bait as I was packing up and the following week a new PB barbel at 11lb 4oz taking a liking to the Lone Angler Ocean Pride dumbell again wrapped in matching paste. 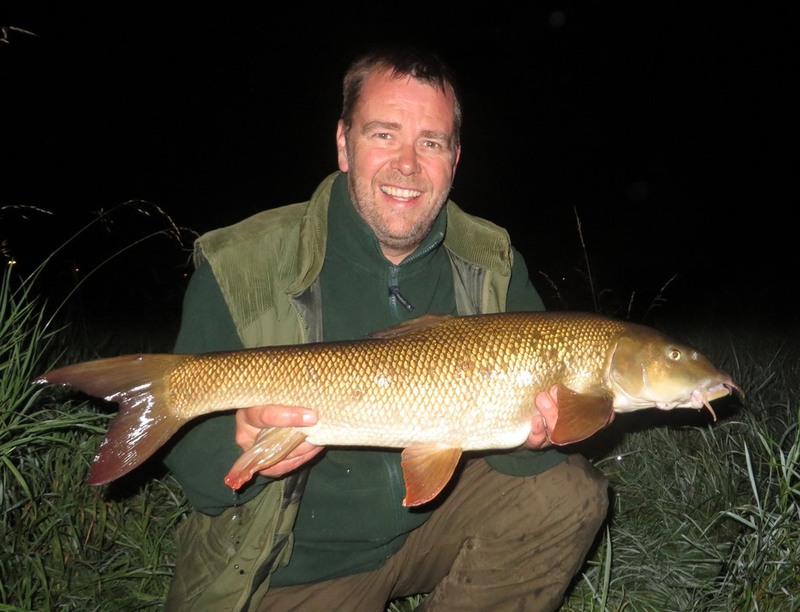 Confidence restored and my fishing freshened up by Barbel School I’m keen to continue chasing barbel into the autumn and then turn my attentions to the bigger chub in the winter months, it’s good to have a plan even better to know it works!! Thank you Ian always good to get positive feedback and I hope the stealthy approach works for you too!! Best wishes Grazy.